South African print company Beith Digital has invested in an EFI VUTEk FabriVU 340 printer to support its soft signage business and offer its customers a greater range of service. Already established in the display graphics sector, Beith Digital has witnessed a significant increase in demand for soft signage work and although the firm was able to provide a limited service with an existing EFI VUTEk LED inkjet machine, the new piece of kit will allow it to establish a full offering. 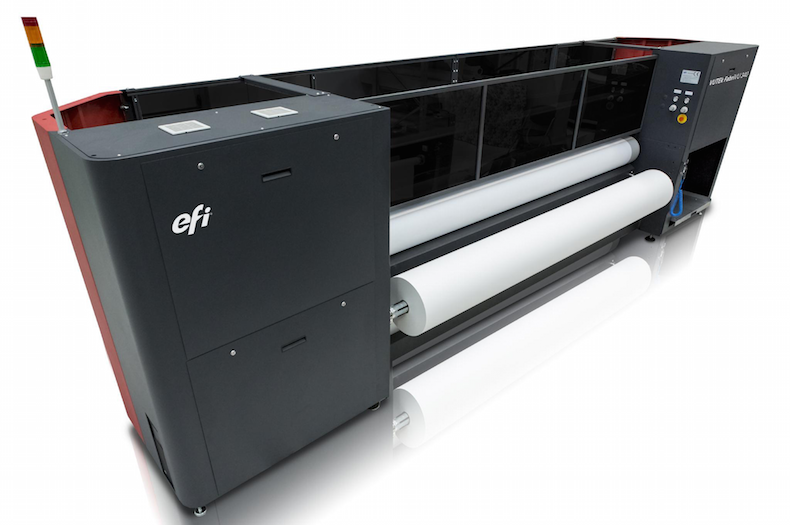 The EFI VUTEk FabriVU 340 is a 3.4m-wide aqueous soft signage printer that is able to produce prints in qualities of up to 2,400dpi. The machine can operate at speeds of up to 500sq m/hr, as well as 250sq m/hr in production image quality mode and 165sq m/r in POP image quality mode. Devyn Wagner, managing director of Beith Digital, says the new EFI will enable the company to print onto a range of materials traditionally associated with soft signage, including four-way stretch polyester knit fabric and carpet, as well as Texflex and sharkfin banners, telescopics, gazebos, event bins, banner walls, A-frames, cubes and stage backdrops. Wagner went on to say that despite having only been in place for a short period of time, the VUTEk FabriVU 340 has already had a major impact on day-to-day life at Beith Digital. He said: “We have already penetrated the soft signage market as well as the promotional items, flags and gazebos market, and we are seeing some good growth. The investment comes after EFI this month completed the acquisition of Escada Systems, a provider of Corrugator Control systems for the packaging market. Based in the UK, the company also has operations in the US and has a wide range of customers on its books. Gabriel Matsliach, senior vice-president and general manager, EFI Productivity Software, said that the deal will help to establish EFI as a “one-shop-shop” for packaging solutions.